A postcard perfect landscape of green valleys criss-crossed with limestone walls, unspoilt villages with cosy country pubs, and the occasional lost sheep wandering down the centre of the road. Situated in the Pennines in Northern England, the Yorkshire Dales are much loved for the unique and timeless character of their villages and scenery. The Dales are home to the famous Yorkshire Three Peaks; Whernside (2,415ft), Ingleborough (2,372ft) and Pen y Ghent (2,277ft). Ramblers seeking a challenge will complete all three hills in one day, then settle into a pub for the evening or find a wild camp spot ready to watch the sunset. Yet beyond the hills, the Dales are scattered with spectacular waterfalls and ancient woodland, dry-stone walls and industrial architecture. Though infamously rainy and bleak, the vibrancy of the hills and warmth of the timeless villages make the Yorkshire Dales a beautiful and peaceful place to spend a weekend. Though the smallest of the Three Yorkshire Peaks, Pen-y-Ghent is a beautiful walk offering panoramic views over the Dales. Starting with a relatively gentle climb, the vast figure of the hill comes into sight early on at Brackenbottom Scar; a looming figure with a distinctly steep climb to reach the highest peak. 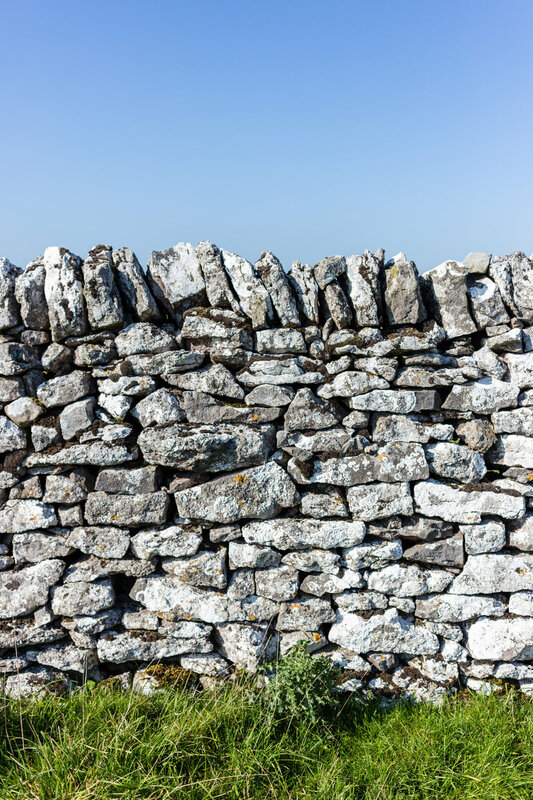 Once at the summit, views look out onto Whernside and Ingleborough, the other two hills that make up the Three Peaks of Yorkshire. Getting there: Park in Horton in Ribblesdale. There is a Pay & Display carpark and some free roadside parking. 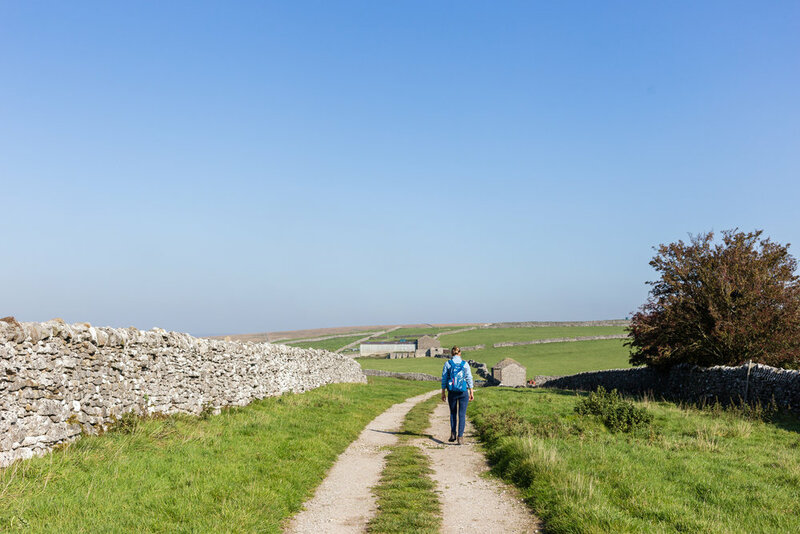 Hike: From Horton in Ribblesdale the hike is 6 miles and takes between 2 and 3 hours. It is a moderate walk with a short, steep climb to reach the summit. Use OS map OL2 or find further details of the walk here. Gear: Bring a warm, waterproof jacket as it can be cold at the summit. Trainers would be fine for this walk in the summer, but wear boots in the winter as it may be muddy and slippery. Food & Drink: Grab a coffee and cake at the Pen-y-Ghent Cafe upon your return. A limestone amphitheatre with a vertical cliff face of around 260ft, Malham Cove is an impressive site just outside the village of Malham. The cove is popular with climbers and is also home to a couple of peregrine falcons you may spot swooping around the area. Getting there: Park in the village of Malham, from where it is around a 10-15 minute walk to the Cove. Gear: Trainers would be suitable for this walk as the majority of the route is paved. Food & Drink: There are a number of pubs in the village of Malham. We recommend The Lister Arms for a delicious pub dinner after visiting the cove. A rustic, country pub in the heart of the Dales, The Lister Arms is situated in the idyllic village of Malham serving delicious home-cooked food and local ales. 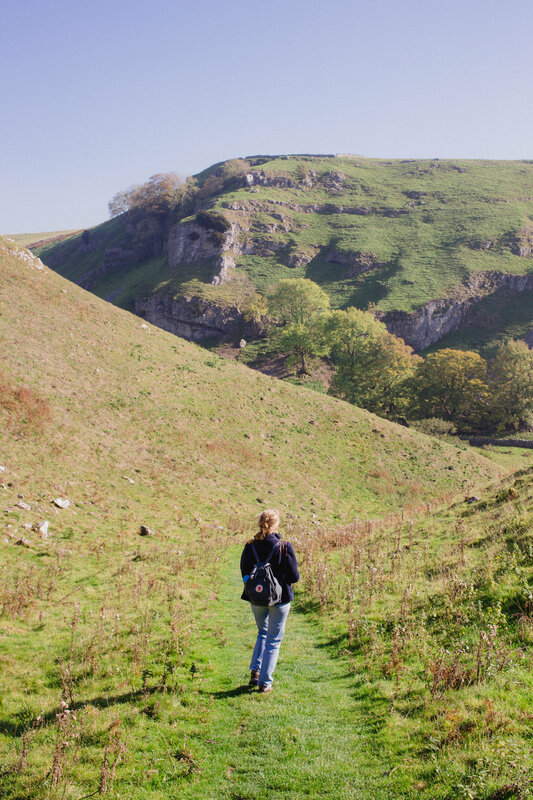 Within walking distance of iconic settings like Malham Cove and Gordale Scar, the Lister Arms is the perfect place to stop for a mid-walk pub lunch or post-walk pint. The pub is also dog-friendly and a has free wifi. Getting there: Situated in the heart of the village of Malham. There is plenty of parking in the village itself. 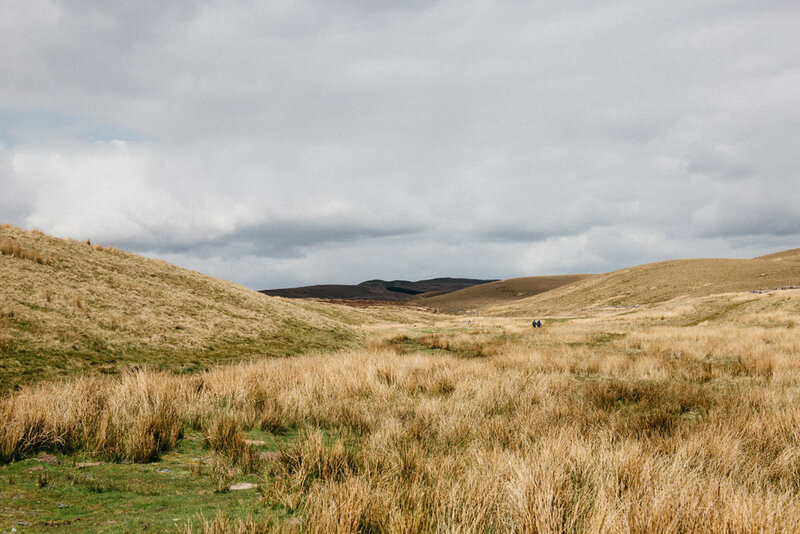 This is a beautiful walk on the open moors above Appletreewick, visiting the striking Troller’s Gill and returning via the lovely River Wharfe. Park at the Craven Arms (where you can get a pub lunch on your return) and head up the path on the left. Cross open moorland with beautiful views out to Wharfedale as you bear east towards Troller’s Gill, a limestone gorge said to be the haunt of Scandinavian trolls. Pass through the village of Skyreholme and return via the banks of the River Wharfe. Enjoy a delicious pub lunch at the Craven Arms on your return. Getting there: Park at the Craven Arms or somewhere in the village of Appletreewick. It’s a small village without a carpark, but there is some roadside parking. Be mindful of where you park. Walk: Use OS Map OL2 Yorkshire Dales. The walk is around 5 miles, and climbs at the beginning but isn’t overly strenuous. Full walking guide coming soon. Gear: The walk doesn’t head deep into open country, but I’d recommend walking boots (trainers would suffice in summer) and bringing a warm jacket. Situated in the tiny village of Appletreewick and surrounded by the rolling fields of Wharfedale, the Craven Arms is everything a pub should be; quaint, cosy, with open fires, good grub and excellent local ales. Housed inside a 16th Century former farmhouse, the pub is striking on appearance - quite literally like stepping back in time, with wooden benches, beams and timeless memorabilia adorning the walls. Look out for the heroines and pioneers in the bathrooms, and enjoy an idyllically pub lunch and pint after a ramble around Wharfedale. Getting there: Situated in the village of Appletreewick, just 8 miles northeast of Skipton. 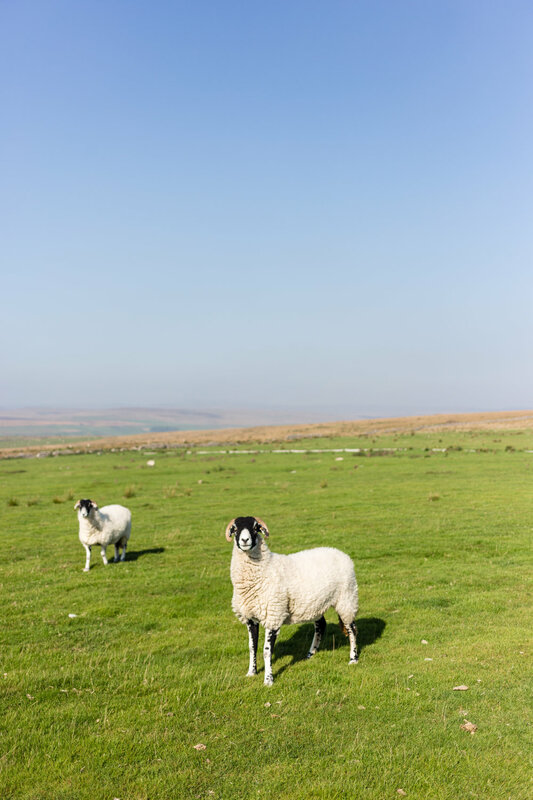 We're still exploring the Yorkshire Dales and discovering great places to share with you.